Google, the search engine giant, will unveil its new smartphone devices in the coming weeks in partnership with HTC. The devices will no longer belong to the Nexus line. So far we have had several leaked images related to two models Pixel (codenamed Sailfish) and Pixel XL (code-named Marlin). 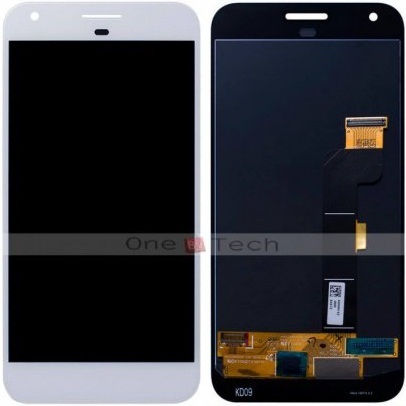 Both devices appear similar in design and technical specifications, differing only in the size of the screen and one or another detail. Now here we had several consecutive leaks on both devices, including from the unofficial release of its front panel images to approval in the Global Certification Forum (GCF), in addition to protective covers ads. All images come to reaffirm what we have seen, as the absence of capacitive buttons on the front and the good use of the screen. On the other hand, if the manufacturer of protective covers is correct, both models will have dual cameras on the back, something that has already been used by HTC several times and that is becoming a standard in certain niches. We would still have the rear panel space for the biometric sensor responsible for reading fingerprints, which pretty much confirms the images leaked so far on the smaller device. It is also worth noting the presence of a physical home button in the illustrative cover image, but this was probably a mistake by the manufacturer in time to promote the product. The GCF record reveals two models US and International versions. According to what has been revealed, both the pixel (G-2PW2100 and G-2PW2200) and Pixel XL (G-2PW4100 and G-2PW4200) may use LTE bands FDD 01, 02, 03, 04, 05, 07 , 08, 12, 13, 20, 25, 26 and 28, in addition to LTE TDD 41, and may also take advantage of the connections for high speed mobile networks. The larger model comes with a 5.5 inch screen, which is slightly lower than the current Nexus 6P released by Google in partnership with Huawei in 2015. On the other hand, we would have an increase in RAM and many other interesting changes being speculated. The smaller size device will have a display of the same dimensions compared to what is found in the Nexus 5X LG, implying that Google reached a decision regarding the "optimal size" for its smallest model. It basically has the same technical specifications to Pixel XL, but with less internal storage capacity and lower resolution display. Both devices will be unveiled by Google later this month or the next September 22 or by early October, an official date for the event not being released yet. None of the information presented above has been confirmed by Google or by HTC, being necessary to take everything with the utmost caution until the new smartphones are indeed officially announced.